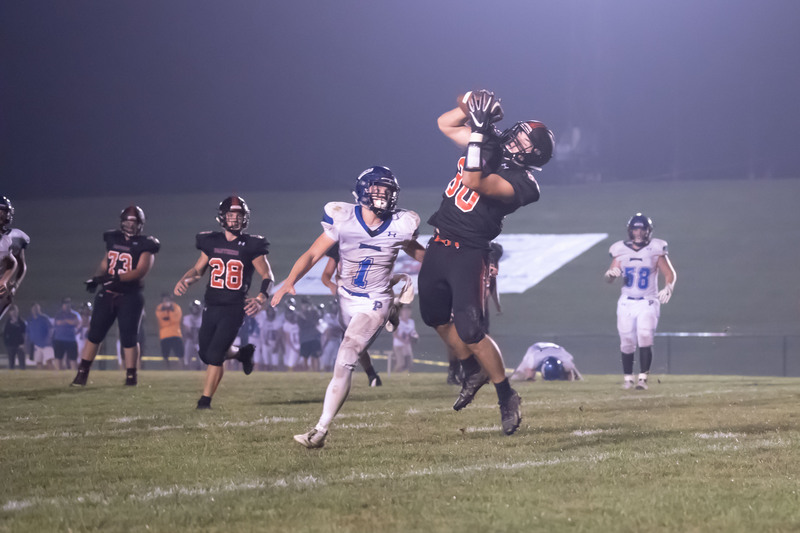 In a hard-fought contest, the Panthers were able to outscore the Palmerton Blue Bombers to earn a gutsy victory. Friday night’s slugfest with the Blue Bombers was not a surprise to Coach Sams and the Saucon Valley Panthers. 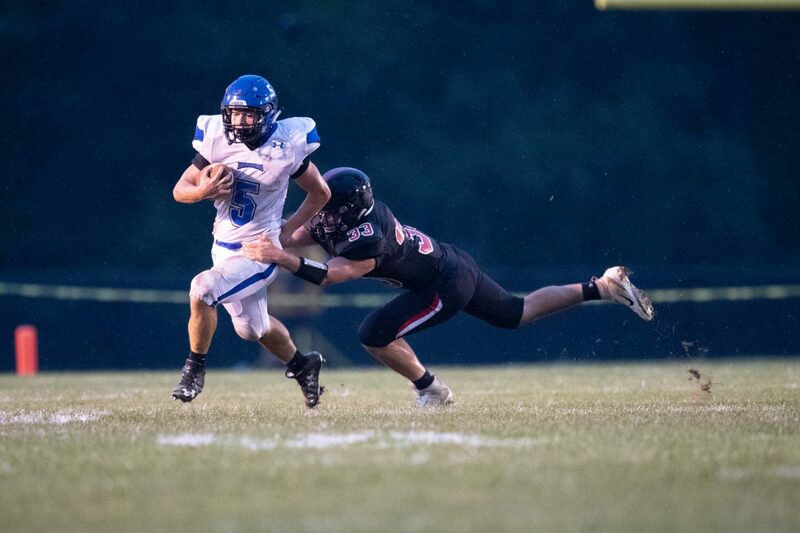 Even though Palmerton was winless coming into the Panthers home opener, they were considered a tough opponent with several athletic playmakers. 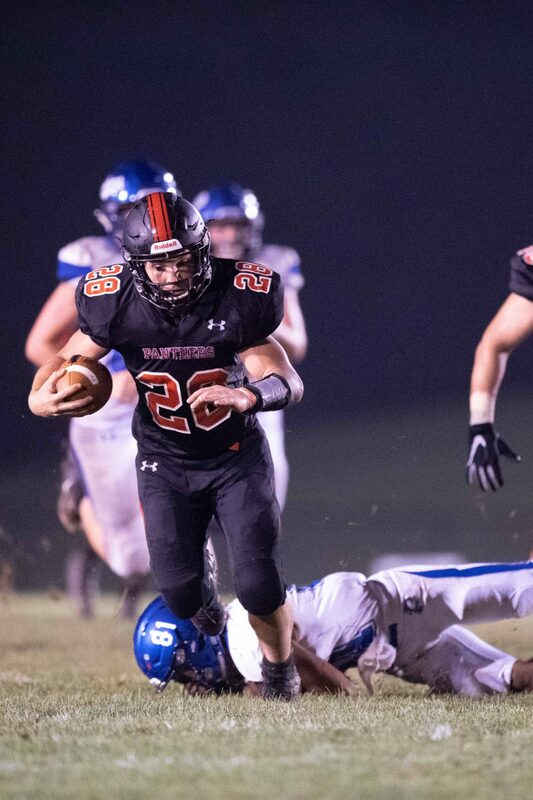 Last week Saucon Valley had their way in a mercy-rule victory against Pen Argyl, but this week, Palmerton posed a serious challenge. Palmerton won the toss and elected to receive only to go three-and-out against a stout Panther defense. Saucon took possession near the midfield stripe and immediately went to work. 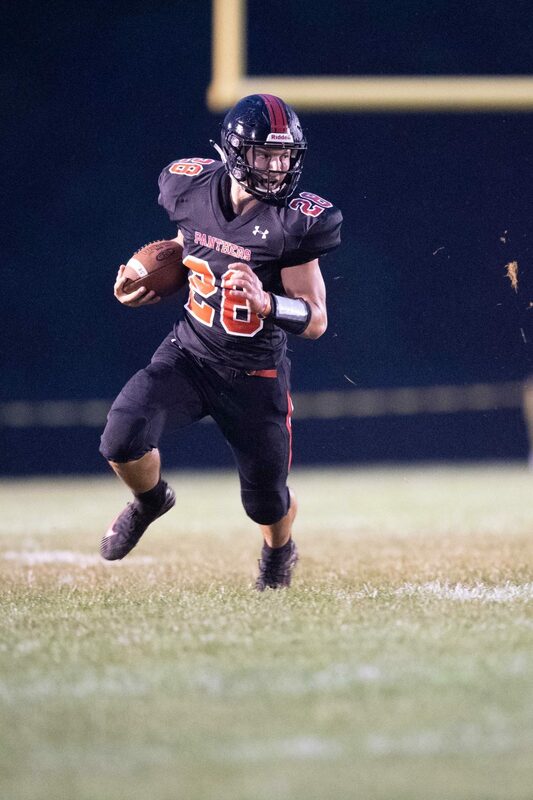 Led by Ian Csicsek, the Panthers methodically drove the field for a TD. 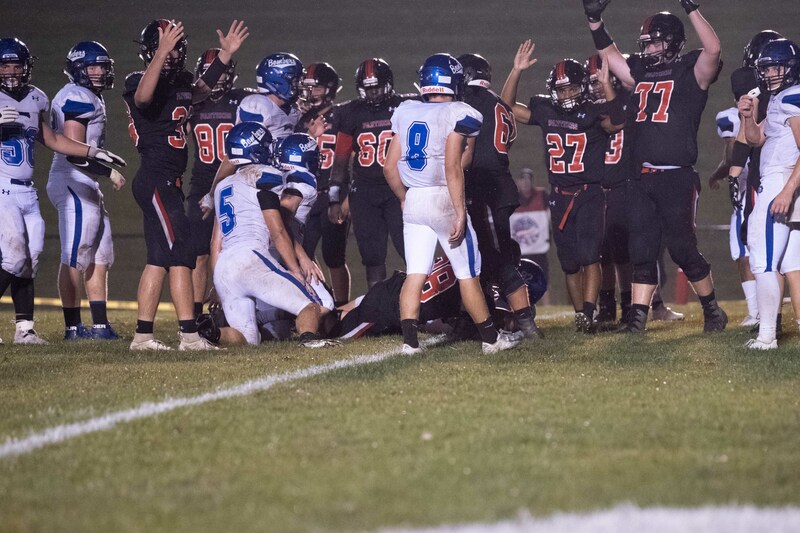 On the scoring series Csicsek carried 8 times for 33-yards, but it was Christian “Mongo” Alling who put the Panthers on the scoreboard after powering straight up the gut for a three yard plunge. Sean Cyphers’ PAT was good and the Panthers jumped out to an early 7-0 lead. 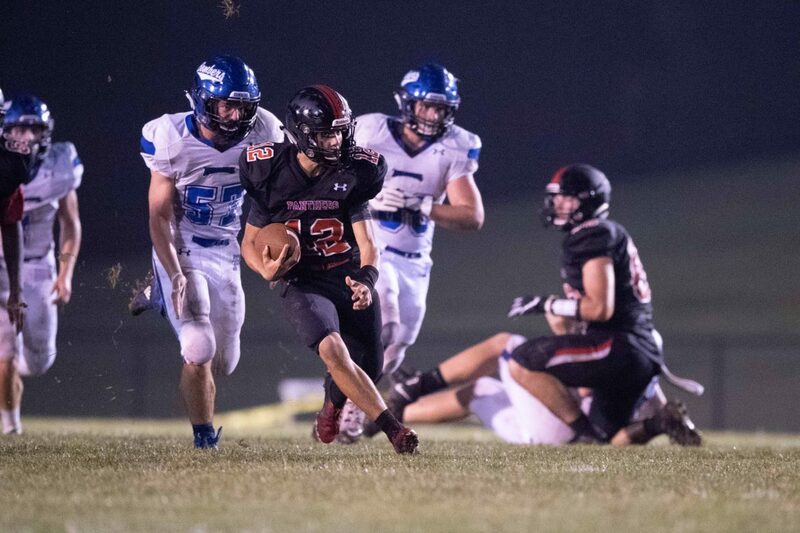 Ian Csicsek (#28) had another great night running the football for 205 yards. Palmerton answered with a businesslike 12-play drive that featured a mix of short passes with power running. On the first play of the 2nd Quarter the Bombers Aaron Stasko hit running back Andrew Sabo in the flat for a 14-yard touchdown pass. Jordan Nelson hit the extra-point to tie it up 7-7. As was expected, it was going to be a knockdown drag-out contest. The Panther offense was up for the fight. Taking possession after the Blue Bomber kickoff at their own 35-yardline it was more of the lethal Saucon Valley rushing attack. A couple of pass plays were mixed in to keep Palmerton honest, but the Panthers would again follow the Hogs to the endzone. Csicsek would do his thing and find paydirt, but his score on this 11-play drive was set up by freshman quarterback, Dante Mahaffey’s 23-yard keep. On 2nd & 8 from the Palmerton 25-yardline, Mahaffey fooled the Bomber defense with a dive-option fake to Christian Alling up the gut. Mahaffey kept the ball and motored around the left end down to the 2-yardline. Then, a couple plays later from a “Power-I” formation, Csicsek followed Mongo, Kelvin Gallard and the right side of the Panther line into the endzone for the score. Cyphers PAT was good and the Panthers were back on top 14-7 with 7:36 left to play in the 1st-Half. Saucon Valley quarterback Dante Mahaffey reads keep on option and picks up a nice gain. Both defenses seemed to settle in with a couple of Palmerton punts surrounding a Panther lost fumble. But, with about two minutes left on the 1st-Half clock, Saucon took possession at their own 41-yardline and was on the prowl for more points. With his feet and his arm, Mahaffey made a couple of key plays on the first and last play of the drive. On the first, the freshman once again fooled the Bomber defense on dive-option for a 30-yard gain. The second was a perfectly placed play-action pass to Panther tight end, Patrick Morrissey. With outstretched arms away from Aaron Stasko’s tight coverage, Morrissey snagged Mahaffey’s dart and glided his way into the endzone for the score. Cyphers extra-point hit its mark and Saucon extend to a 21-7 with 1:03 remaining on the clock. It seemed as if Saucon secured a two-score halftime lead, but that wasn’t the case. The Bombers buzzed down the field in only seven plays. 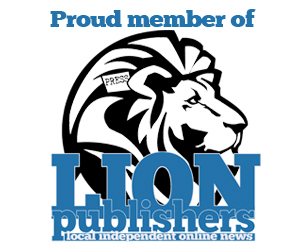 Palmerton completed four passes on the drive with the last being an 18-yard strike from Cody Waterhouse to Jordan Nelson for a touchdown. The Blue Bombers converted the PAT and at halftime the Panthers held an uncomfortable 21-14 lead. 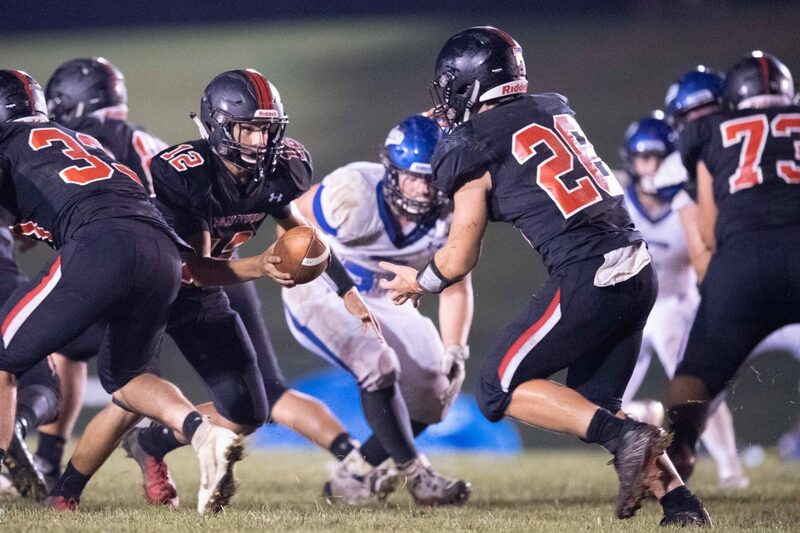 The Panthers pushed deep into Palmerton territory to start the 2nd Half, but the Bomber defense forced a turnover on downs at their own 20-yardline. 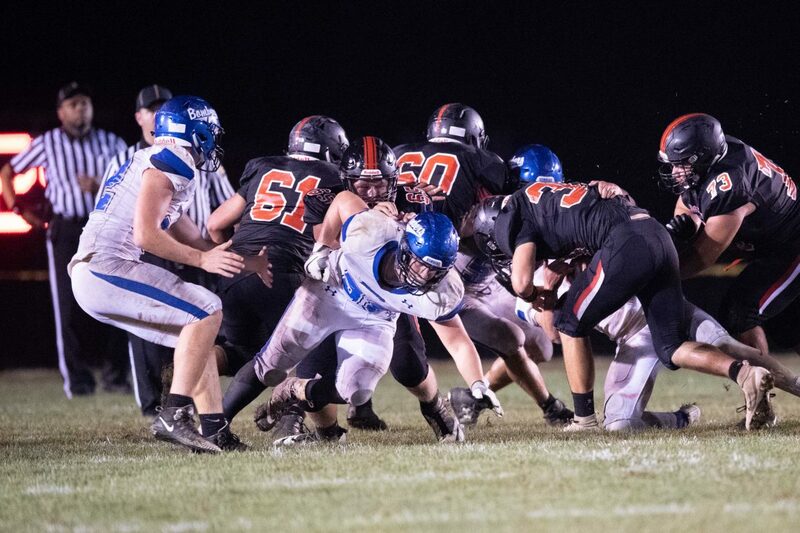 Palmerton welcomed the opportunity and marched back the other way for a score. On what looked to be a busted play on 4th & 7 from the Panther 17-yardline, the Bombers were able to improvise for a touchdown. Stasko, from his quarterback position, fumbled the shotgun snap and looked as if he was going to be sacked. However, Owen Buck from his wideout position was able to shake free for a score due to a blown coverage. Palmerton missed the PAT but the Bombers scare was on. Thoughts of last year’s 29-28 Panther loss began to resurface. With 3:32 left in the 3rd Quarter Saucon clung to a 21-20 lead. The ensuing Bomber kickoff was short and rolled out of bounds giving the Panthers the ball at their own 43-yardline. Saucon Valley took advantage of the excellent field position and courageously roared right back with a six-play 57-yard scoring drive. Csicsek accounted for 46 of those yards on only four carries. The touchdown was a 5-yard scamper by Csicsek off left tackle. Cyphers did his thing with the PAT and the 3rd Quarter ended with Saucon holding a 28-20 advantage. The big-play Bombers came right back. On their second play from scrimmage Stasko found himself under heavy pressure from Dale Sorensen and Tim Weaver as he dropped back to pass. Nonetheless, Stasko stood tall and launched the ball deep down the middle of the field to Jordan Nelson who was in a full sprint. Nelson never broke stride until he finished with a 61-yard touchdown catch. The Bombers opted to go for a 2-point conversion and tie the score but it failed when the Panthers Kelvin Gallard knifed into the Bomber backfield off the edge and emphatically hogtied Stasko for a sack. With over eleven minutes left to play, the Panthers were desperately clinging to a 28-26 lead. Saucon Valley was fatigued from the physical Bomber beatings, but found the will to bounce back. The Panthers embarked on a ten play drive that ended with a 1-yard blast off right tackle by Csicsek. Csicsek carried seven times for 59 yards on the drive. It wasn’t all Csicsek, however. Freshman quarterback Dante Mahaffey was key to keep the drive alive. On 4th & 5 from the Blue Bomber 33-yardline, Mahaffey once again decided to keep on an option play off the left side. Mahaffey picked up 16-yards to move the sticks for the Panthers. Two plays later Csicsek found the endzone for the score. Under heavy Bomber pressure the Panther PAT missed its mark. With 7:14 left in regulation time, Saucon led 34-26. Mahaffey (#12) and Csicsek (#28) combined their talents to post over 300 yards of offense. Palmerton took the following Panther kickoff and marched to the Panther 45-yardline where they faced a 4th & 7. Saucon’s Evan Deily and Patrick Morrissey brought the pressure but the Bomber quarterback managed to get his pass away. However, Reily Hudak from his safety position was able to bat the ball harmlessly to the ground. The Panthers regained possession and chewed the clock while pushing deep into Bomber territory where they turned it over on downs. Palmerton took over at their own 18-yardline and managed to secure one first down before the game ended with a Jared Harka sack. It was a well-played and hard-fought competition. When it was all over and two very fatigued and beat-up teams left the field with an assortment of limps and bruises, the scoreboard read 34-26 in favor of the Panthers. 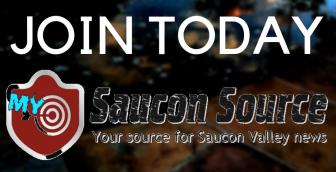 Saucon Valley improved to 3-0 while a very, very good Palmerton team dropped to 0-3. Up Next: The Panthers will now look forward to a road-trip to Salisbury and prepare for a Friday night showdown with the Falcons. The Falcons (1-2) came up short against Pen Argyl and Northwestern Lehigh early in the season but turned things around this past weekend with a 21-7 win over Wilson. Friday’s kickoff is scheduled for 7 p.m.